One such smear was the claim made to the Wall Street Journal yesterday that Israel spies on America. And according to the Journal, Obama administration officials acknowledge two things: the U.S. regularly spies on Israeli policymakers, and the Obama administration has been deliberately hiding the details of its negotiations from both Congress and Israel from the very outset of the talks. The French, who are as opposed as Israel is to the “catastrophic deal” that Obama is rumored to be willing to sign with the Iranian regime, are also likely to have shared their intelligence with Israel. Nevertheless (as the Obama spin doctors no doubt would have predicted when they placed their story in the Journal) other media worldwide, from the London Daily Mail (the most read newspaper online in the world) to NPR, claimed in their headlines yesterday that Israel is spying on the U.S. (which is doubtful) and at the same time don’t mention in their stories that the U.S. spies on Israel. Israeli Foreign Minister Avigdor Lieberman rejected the Journal’s report but acknowledged that Israel could obtain intelligence on the talks based on sources in Iran without spying on the U.S.
Uzi Arad, a former senior Mossad official, said that the criticism from Washington goes beyond an effort to pressure Mr. Netanyahu to fall into line with U.S. policies. “The current situation is being exploited to carry out a downgrade of the relationship and strategic understandings between ourselves and the U.S.,’’ he told Israel Radio. One might also ask why Israel would need to spy on U.S. if the U.S. was really such a close ally of Israel? One shouldn’t forget either that much of the West’s knowledge about Iranian nuclear facilities derives from Israeli intelligence. I attach four articles below. Bret Stephens and Max Boot are both longtime subscribers to this list. There is an upside-down quality to this president’s world view. His administration is now on better terms with Iran – whose Houthi proxies, with the slogan “God is great, death to America, death to Israel, damn the Jews, power to Islam,” just deposed Yemen’s legitimate president – than it is with Israel. He claims we are winning the war against Islamic State even as the group continues to extend its reach into Libya, Yemen and Nigeria. He treats Republicans in the Senate as an enemy when it comes to the Iranian nuclear negotiations, while treating the Russian foreign ministry as a diplomatic partner. He favors the moral legitimacy of the United Nations Security Council to that of the U.S. Congress. He is facilitating Bashar Assad’s war on his own people by targeting ISIS so the Syrian dictator can train his fire on our ostensible allies in the Free Syrian Army. He was prepared to embrace a Muslim Brother as president of Egypt but maintains an arm’s-length relationship with his popular pro-American successor. He has no problem keeping company with Al Sharpton and tagging an American police department as comprehensively racist but is nothing if not adamant that the words “Islamic” and “terrorism” must on no account ever be conjoined. The deeper that Russian forces advance into Ukraine, the more they violate cease-fires, the weaker the Kiev government becomes, the more insistent he is that his response to Russia is working. The current victim of Mr. Obama’s moral inversions is the recently re-elected Israeli prime minister. Normally a sweeping democratic mandate reflects legitimacy, but not for Mr. Obama. Now we are treated to the astonishing spectacle in which Benjamin Netanyahu has become persona non grata for his comments doubting the current feasibility of a two-state solution. This, while his Palestinian counterpart Mahmoud Abbas is in the 11th year of his four-year term, without a murmur of protest from the White House. It is true that Mr. Netanyahu made an ugly election-day remark about Israeli-Arab voters “coming out in droves to the polls,” thereby putting “the right-wing government in danger.” For this he has apologized, in person, to leaders of the Israeli-Arab community. Maybe that’s true, but if so it only underscores the point Mr. Netanyahu was making in the first place – and for which Mr. Obama now threatens a fundamental reassessment of U.S. relations with Israel. In 2014 Mr. Abbas agreed to a power-sharing agreement with Hamas, a deal breaker for any Israeli interested in peace. In 2010 he used the expiration of a 10-month Israeli settlement freeze as an excuse to abandon bilateral peace efforts. In 2008 he walked away from a statehood offer from then-Israeli Prime Minister Ehud Olmert. In 2000 he was with Yasser Arafat at Camp David when the Palestinians turned down a deal from Israel’s Ehud Barak. And so on. For continuously rejecting good-faith Israeli offers, Mr. Abbas may be about to get his wish: a U.S. vote for Palestinian statehood at the United Nations. For tiring of constant Palestinian bad faith – and noting the fact – Israel will now be treated to pariah-nation status by Mr. Obama. The Saudis figured that out in 2013, after Mr. Obama failed to honor his promises on Syria; they turned down a seat on the Security Council, spoke openly about acquiring nuclear weapons from Pakistan and tanked the price of oil, mainly as a weapon against Iran. Now Mr. Obama is nothing if not solicitous of the Saudi highnesses. The Israelis will need to chart their own path of resistance. On the Iranian nuclear deal, they may have to go rogue: Let’s hope their warnings have not been mere bluffs. Israel survived its first 19 years without meaningful U.S. patronage. For now, all it has to do is get through the next 22, admittedly long, months. The Wall Street Journal rattled some teacups with its article today claiming that Israel is spying on the American team negotiating with Iran and sharing the results with lawmakers on Capitol Hill. It should be noted that in the article itself Israeli officials deny that they were spying on the U.S.; they say they got their information from spying on the Iranians and from information freely shared with them by the French, who are more interested in keeping the Israelis informed than the Americans are. Whether the Israeli defense is true or not I don’t know. But either way there is nothing particularly shocking going on here. As a general matter, let us stipulate that allies should minimize the extent to which they spy on each other, if only because such revelations can be embarrassing and damaging. But the reality is that almost everyone does it. The only notable exception I’m aware of is the “Five Eyes” – the U.S., Britain, Australia, New Zealand and Canada – which have been closely cooperating in intelligence matters since World War II. The U.S. certainly spies on allies such as France and Germany, as we discovered from Edward Snowden’s leaks. And they spy on us. Let me get this straight: The administration believes that it must at all costs keep not only close allies such as Israel in the dark about the negotiations but also lawmakers who have a duty to ratify treaties. The only grounds I can see for the administration stance is that Obama is preparing to reach a generous deal with Iran that he knows will upset lawmakers and allies, and he is trying to keep the terms a secret until it is a fait accompli in the hopes of ramming it through using executive prerogative alone. This is well within the president’s power to do but it is hardly a wise way to proceed with such a momentous agreement. One suspects that the Israeli espionage may have leaked out now for the same reason that the administration insists on pummeling Prime Minister Netanyahu repeatedly in public: as a way to delegitimize the Israeli position (which also happens to be the majority position of both houses of Congress) in the Iran debate. This is a dangerous game that Obama is playing. At stake is nothing less than Israel’s security as well as that of other American allies located near Iran – to say nothing of US interests in the region. Is Israel supposed to sit blind, deaf, and dumb while this is going on? While it would be better if Israel didn’t feel compelled to spy on the U.S. (just as it would be better if the US didn’t feel compelled to spy on Israel), this is not an instance such as the Jonathan Pollard case, which was just stupid spying, disrupting the alliance for no good reason. (Pollard was providing “nice to have” information not “must have” information.) This is a matter of survival for the Jewish State. 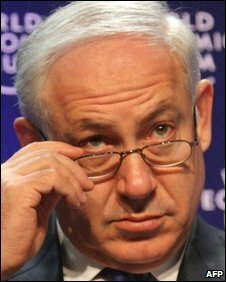 So, while Netanyahu has made some missteps in his dealing with Obama, such as challenging his negotiating position before Congress, this is an instance where Israeli actions are understandable: If the U.S. refuses to share what could be life or death information with Israel, the Jewish State will get its information however it can. If it were put in a similar position, the U.S. or any other nation would act in the same way. In what was obviously a targeted press leak by the Obama administration, the Wall Street Journal reported today that Israel spied on the Iran nuclear talks and used the intelligence it gathered to lobby the U.S. Congress against them. According to the Journal article, Obama officials knew about Israeli spying on the nuclear talks for over a year. This spying reportedly consisted of eavesdropping and acquiring information from confidential U.S. briefings, informants, and diplomatic contacts in Europe, according to the Journal’s sources. Israeli officials denied spying directly on U.S. negotiators and said they acquired their information through other means. Give me a break. Israel and the United States spy on each other constantly. Ironically, according to the story, the Obama administration found out about Israel’s spying on the talks from American spying on Israel. It’s pretty outrageous that Israel had to resort to spying to discover details of the nuclear talks that the Obama administration was withholding from both Israeli officials and the U.S. Congress. Why did this story come out now? The reason is obvious. Obama officials know the Iran talks are in trouble and leaked the Israeli-spying story to change the subject. There is growing bipartisan opposition to the huge concessions made by the United States in the negotiations. Many members of Congress believe a final deal with Iran will be a weak, short duration agreement that will legitimize Iran’s nuclear program and increase tensions in the Middle East. Moreover, according to recent press report, Iran is pushing for more concessions while France is trying to toughen a final deal. According to article, President Obama decided to keep Prime Minister Netanyahu in the dark about the Iran nuclear talks because he was concerned about leaks. This was an unacceptable way to treat one of our closest allies on negotiations with profound implications for its security. Now that we know President Obama stiffed Netanyahu by refusing to keep him informed about the Iran talks, U.S. officials should stop whining about Netanyahu breaking protocol by addressing Congress and lobbying it against a nuclear agreement with Iran. What worries me most about this clumsy Obama-administration attack on Netanyahu is how it will feed growing anti-Israeli and anti-Semitic sentiments from the left in the United States, especially from the far left. The administration should be standing behind Israel, not generating opposition to it among its radical supporters by leaking stories like this. Israeli spying on the nuclear talks was nothing unusual. And although Israel’s reported decision to use the intelligence it gathered from this spying to lobby Congress was unexpected, I believe this decision was justified given the way the Israeli government was treated by the Obama administration and Netanyahu’s fear that the nuclear talks were on track to produce an agreement that would seriously endanger Israeli and regional security. As a former CIA analyst, I say congratulations and thank you to the Mossad for its outstanding work to help stop the Obama administration’s reckless nuclear diplomacy with Iran. U.S. accusations of Israeli espionage – why now? Analysis: The Obama administration has launched a media blitz against Netanyahu, fearing a narrow right-wing government that could be a potential ‘nightmare’ for the US. What is unacceptable for Israel should also be unacceptable for the US. The article specifically states that the United States intercepted Israeli transmissions and from there decided that Israel supposedly “spied” on the US. Is it acceptable for the Americans, who do not face direct security threats, to spy on a Middle Eastern ally? And can the ally, Israel, which does face a direct security threat from Iran, therefore not take a closer look at what the US is doing behind its back? In Washington they are saying that if possible, they will prevent the establishment of a narrow right-wing government, and if such a government is formed, ensure that the key ministerial posts are given to relative “moderates”. Naftali Bennett in the Foreign Ministry, for example, would be a “nightmare” for the Americans. In addition, the government is trying to influence the political platform of the next Israeli government. The administration wants it to be explicitly stated in the government’s basic guidelines that Israel adheres to a two-state solution and will do everything possible to bring it to fruition now, rather than in the distant future.